Abatement Services | Performance Contracting Inc. Performance Abatement Services (PAS) is the authority in abatement services providing maximum protection from the long-term liability and tenant disruption associated with hazardous substance removal. Health risks are inherent in abatement projects. That’s why experienced project management is critical. 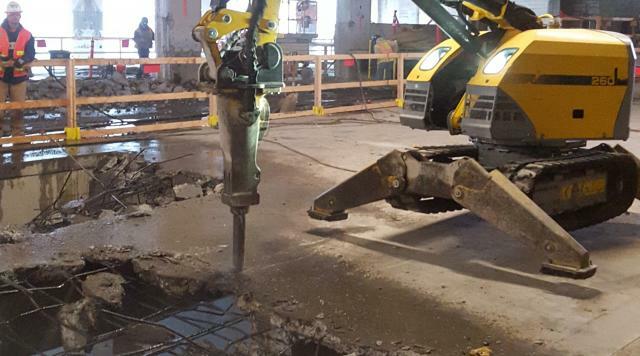 PAS has the knowledge and range of manpower to remediate sites in a manner that is best suited for the client and the services to be provided. You’ll find that we are schedule-sensitive and that we use proprietary labor and material control systems that have been developed from years of experience. We can even accommodate tight schedules through shift work and weekend scheduling for your convenience. With ever-changing local, state and federal abatement regulations, it’s important to know that your liability and exposure is being handled by the best. 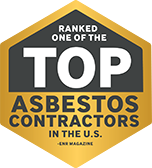 PAS is the leader in asbestos abatement. 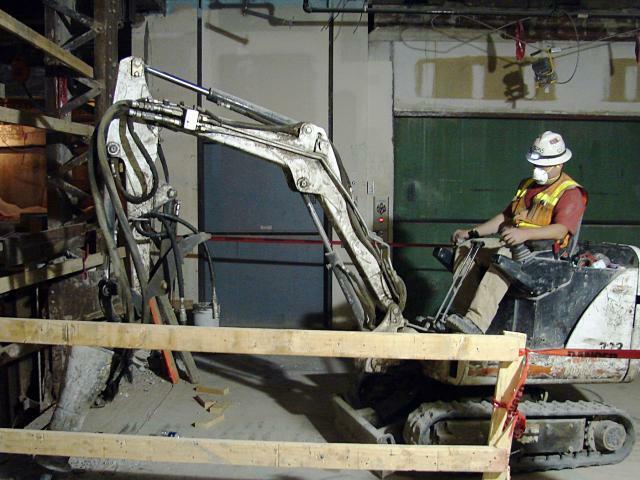 We employ all necessary engineering controls and equipment to fully contain hazardous equipment prior to remediation. Plus, the safest methods of removal including glove bag, ceiling scrape and Commercial / Industrial / Residential Abatement of floors, walls, ceilings, roofing, pipes and fireproofing are used to eliminate asbestos and give you peace of mind. Removal eliminates the hazard completely, and shall be removed by a licensed abatement contractor. PAS maintains OSHA and EPA required certifications, training and record keeping and continues to educate all foreman and workers to ensure we are keeping up with the latest developments in safety, new techniques, regulatory compliance, and quality assurance. PAS will as required provide “close out” documents, manifests, personal air monitoring, worker documentation, containment logs, and more. Hazardous materials are sealed in order to prevent any health threats. 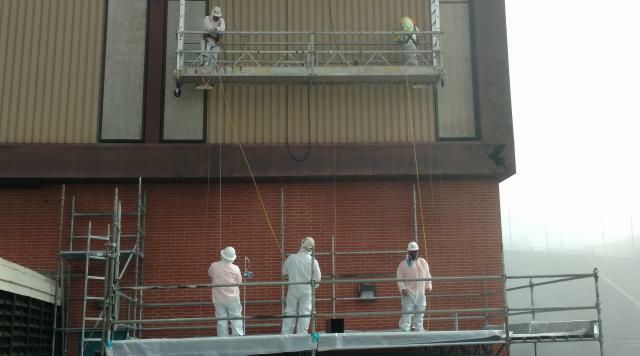 The encapsulation coating is similar in consistency to paint, applied with a sprayer or rolled on, and used in both asbestos and lead-related construction to seal and bind together. 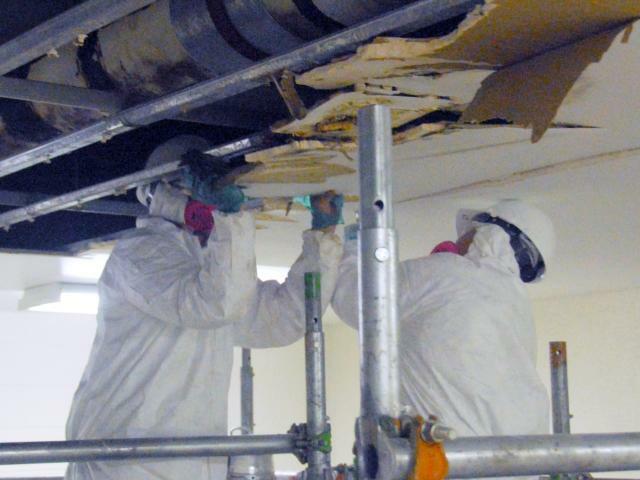 Encapsulation is an interim control until the asbestos can be completely removed. An airtight structure is erected around asbestos-containing products. Enclosure requires further maintenance and monitoring for asbestos hazards. An enclosure is an interim control until the asbestos can be completely removed. PAS maintains OSHA and EPA required certifications, training and record keeping and continues to educate all foreman and workers to ensure we are keeping up with the latest developments in safety, new techniques, regulatory compliance and quality assurance. PAS will as required provide “close out” documents, manifests, personal air monitoring, worker documentation, containment logs, and more. 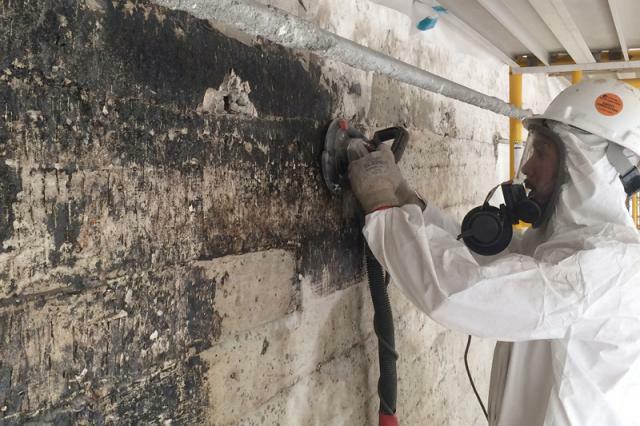 Performance Abatement Services has successfully remediated all types of contaminated interior spaces, including walls, ceilings, floors and HVAC systems and specialize in remediation for commercial buildings, schools, industrial sites, institutional facilities, hospitals and multi-family buildings. After thorough removal, the area is tested and sealed to prevent further growth. PAS will safely lower mold spore counts and mycotoxins that can create a toxic breathing environment. After thorough removal, the area can be tested and in some cases a fungicide or encapsulant is applied to prohibit growth. Control and containment of affected area. Build back the facility to pre-loss condition through our interior contracting branches. Inspections and follow-up on decontamination according to established procedures & protocol. With each project, we tackle environmental issues, public safety and health risks, employee safety hazards and recycling processes. We always devote a great deal of time and energy to the engineered pre-planning phase to ensure optimum results. We have the knowledge, qualifications and experience to handle all your demolition requirements. And, because PAS offers COMPLETE demolition services, our clients can be confident that all stages of the work will be completed on or ahead of schedule and in the safest and most cost-effective manner possible. 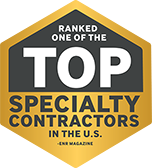 Projects are managed in local markets that are staffed with experienced management and job site personnel who are knowledgeable about all local codes and labor requirements. Our rigorous safety standards and training requirements, combined with state-of-the-art equipment, create safe working conditions. PAS is bonded and insured for your protection. Analyze and safely prepare structures for demolition. Give careful consideration to adjacent structures and active operations. 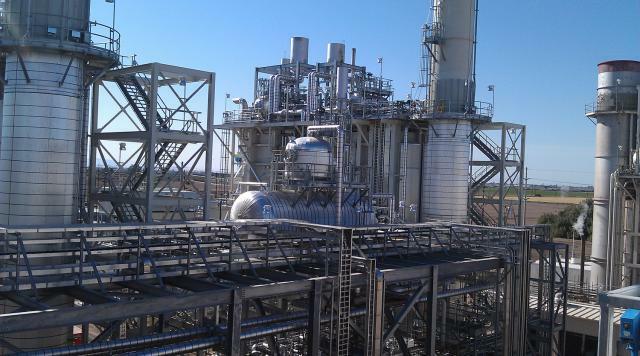 Closely coordinate tasks and schedule with client to work seamlessly with plant operations. Approach all projects with the utmost concern for environmental compliance and employee safety. 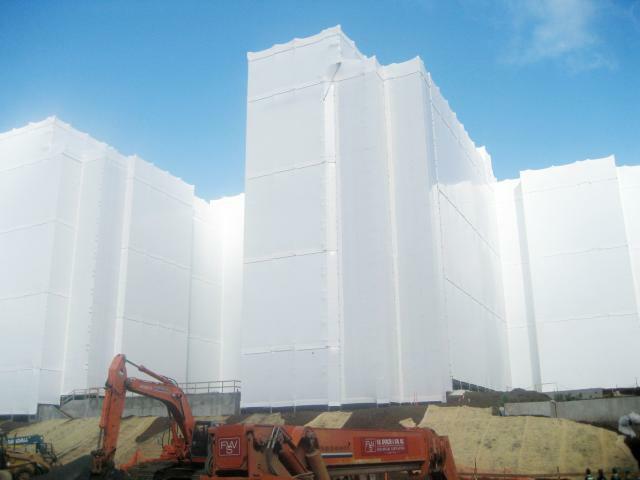 At PAS, when we use the term “shrink-wrap services” we mean total encapsulation of a structure undergoing renovation. We do this by wrapping the structure with a heavy-duty plastic film, then heat-shrinking the film to form a tight skin over the structure. This film forms a strong barrier between the interior of the structure and its outside environment. Our shrink-wrap services provide cost-saving alternatives to owners, general contractors and other specialty contractors. Weather delays extend construction schedules. A shrink-wrapped structure allows crafts to continue working within enclosures that keep out rain, high winds and other bad weather elements. Sunshine filters through to enhance visibility. Manpower from multiple trades can perform work simultaneously. If exterior work is being performed, shrink-wrap protects the structure from outside damage. 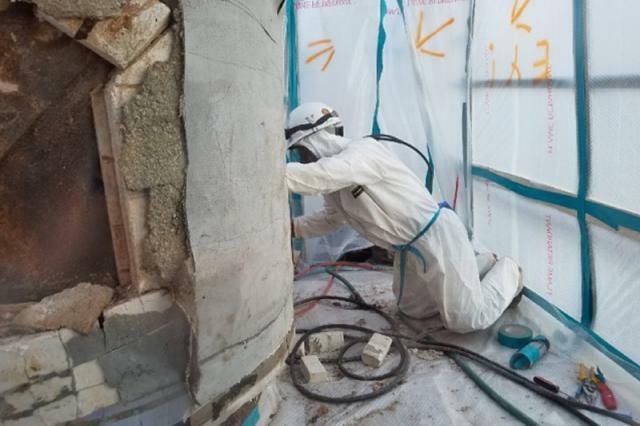 PAS can contain and acclimatize a structure to increase the cure time of various materials such as concrete, drywall mud, spray-on fireproofing, caulking, sheetrock, joint compound and various paint applications. Increased productivity in cold climates. Reduces overall schedule and project costs by allowing work to be performed despite weather conditions. Full containment during abatement projects means reduced exposure to hazardous materials and a healthier and safer working environment. Loose decking, objects or materials that may fall during repairs can be contained, reducing risks for loss and liability concerns. Risks associated with working on swing stages in the wind and rain are minimized. Shrink-wrapping enhances the integrity and stability of the scaffold. Shrink-wrap material is fire-retardant, minimizing fire hazards. Shrink-wrapped structures minimize work exposure to the adjacent building occupants, general public, regulatory agencies, etc. Crafts are less hampered by outside distractions, resulting in higher productivity. By utilizing various materials and application methods, PAS can design containments to last for different durations, depending on customer and application needs. Shrink-wrapping gives the structure a clean, compact, professional and organized look. Reduces noise to the public caused by construction. Various thickness, roll size and colors available; depending on project duration and needs. PCI’s safety record speaks for itself. On my jobs with PCI, I don’t remember any lost time accidents. Period. Ever.